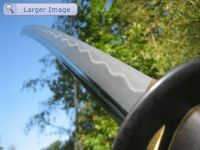 If you are looking for a descent tameshigiri katana that is not too expensive and doesn't look and feel like a wallhanger, your search is over ! 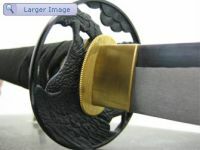 Starting as a beginner of any Japanese sword fighting art, it's always recommended to use a wooden sword or bokken. 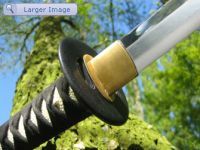 Once you get better, you can consider buying a real battle ready katana. 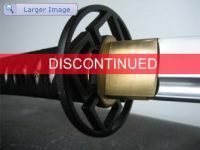 All of the Japanese katana listed here under are "entry level" swords for the budo practitioner as well as the sword collector. 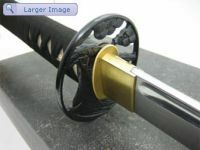 The practical katanas of Paul Chen's Hanwei forge are exactly what you're looking for ! 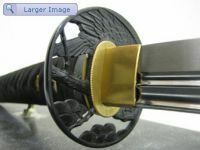 All of these katana swords are forged and battle ready. 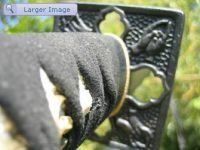 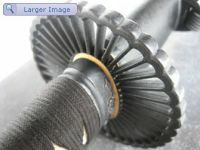 Just keep in mind that the practical katana and the practical xl light katana can not be take apart since the tsuka (handle) is glued on the tang and that they also have an imitation rayskin on the handle.